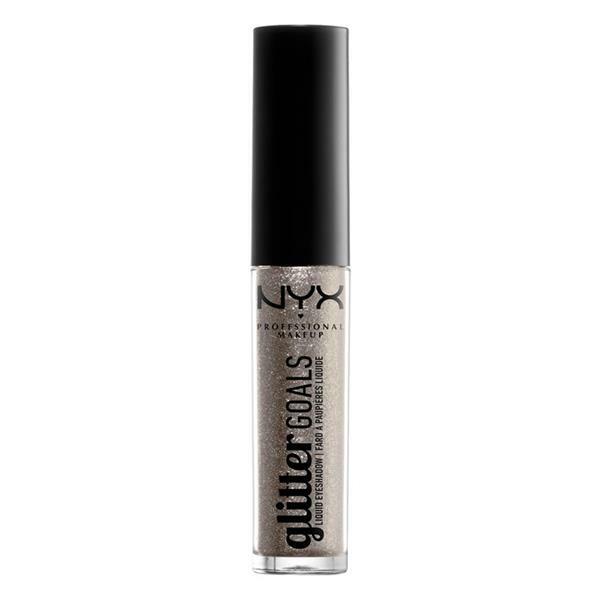 Look on the bright side with Glitter Goals Liquid Eyeshadow, the new lightweight eye color from NYX Professional Makeup that packs your lids with mesmerizing lustre and sparkle. Available in eight gleaming hues, every liquid-smooth shade is loaded with glitter and glides on effortlessly. Show them off alone or layer over powder eyeshadow for a range of buildable, blendable looks. Apply directly to your lids using the applicator and blend out with your finger. Wear each sparkly shade on its own or layer over powder eyeshadow for intense shimmer.